Kate and James were married at the gorgeous Carberry Tower in Musselburgh yesterday. Kate wanted a rustic autumnal look to her flowers with lots of lovely varieties of foliage along with white avalanche roses and berries. 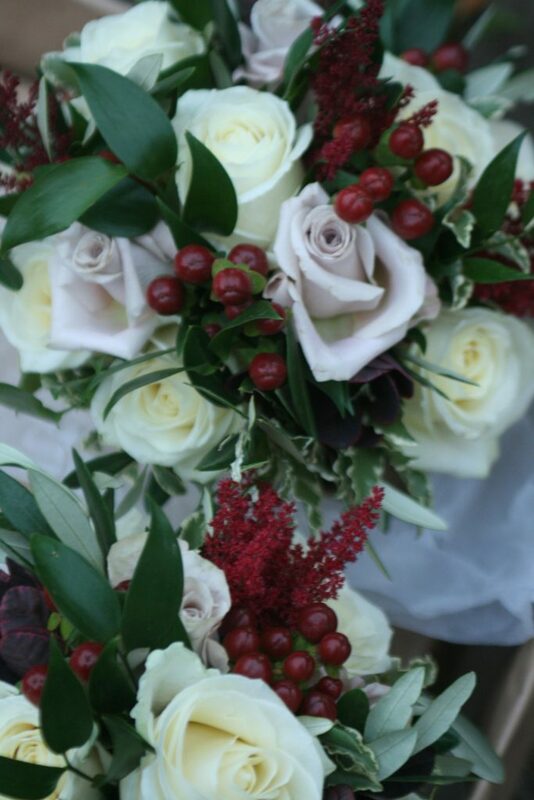 The bridesmaid’s had a touch of the colour claret/burgundy in their bouquet’s to tie in with their shawls. 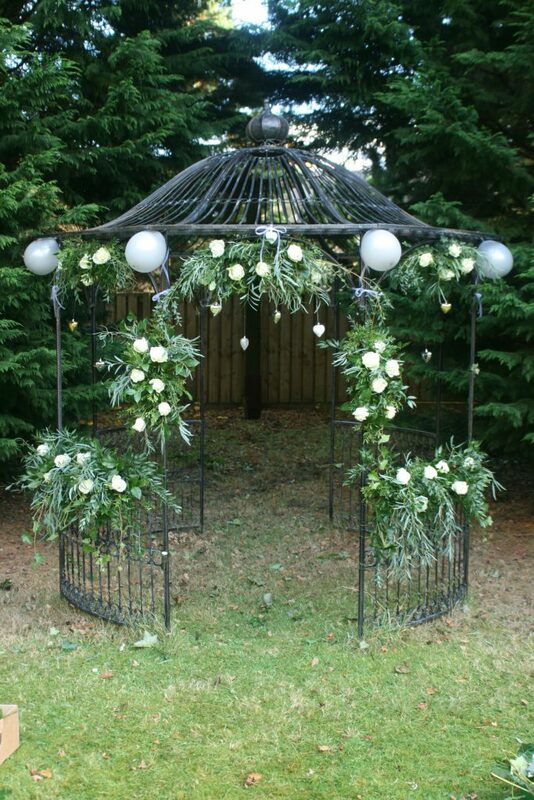 We were asked to decorate the pergola in the garden with flowers and foliage and added a few of Kate and James’ accessories and balloons. Thankfully the weather stayed dry. 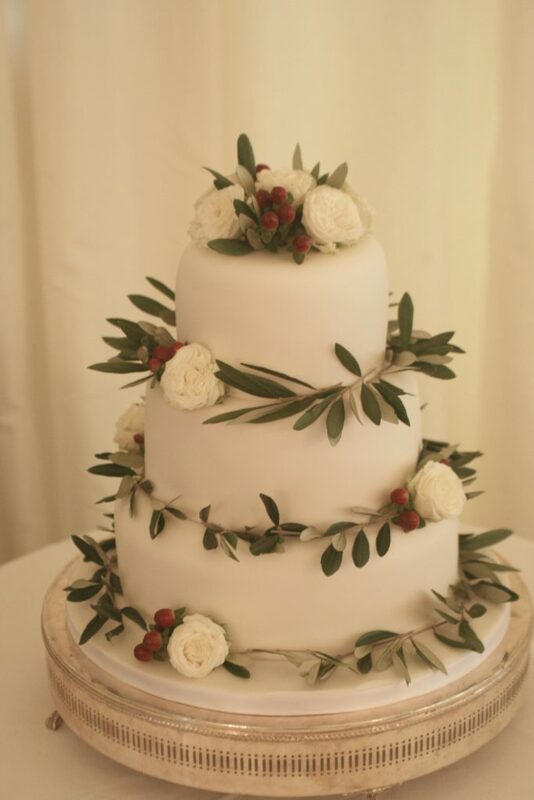 I loved decorating the wedding cake which we dressed with garden spray roses, berries and olive foliage. 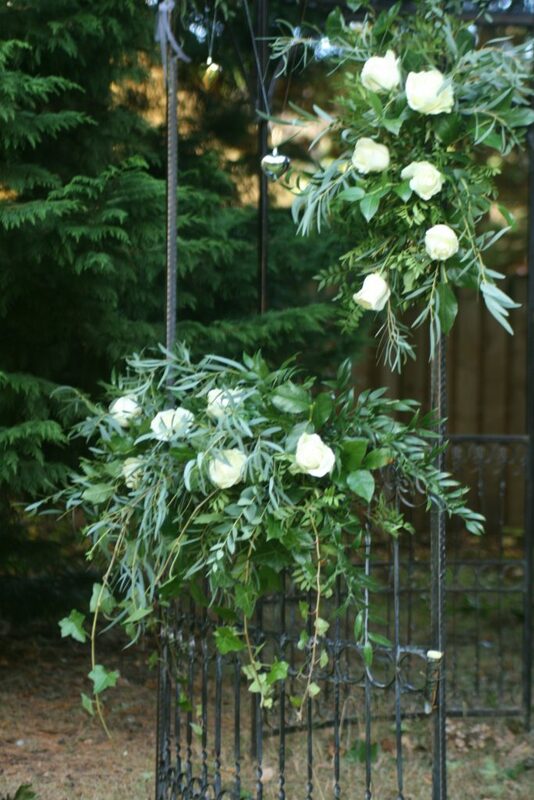 Kate carried a rustic teardrop bouquet with olive, pitto and soft ruscus foliage with avalanche roses and astilbe. Congratulations and best wishes to you both. I hope you had a great day. Foliage and flowers decorating the pergola in the garden. The arch in full decorated with hearts and balloons. 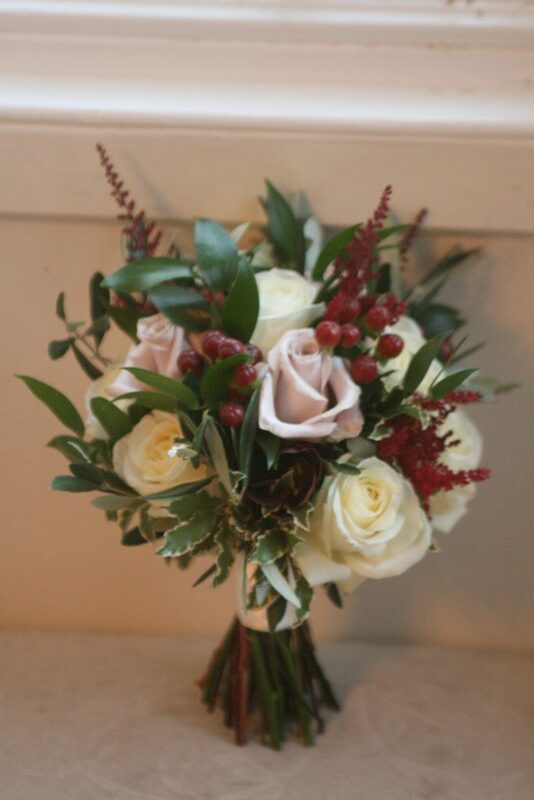 The bridesmaid’s bouquet with roses, astilbe, hypericum berries and foliage. 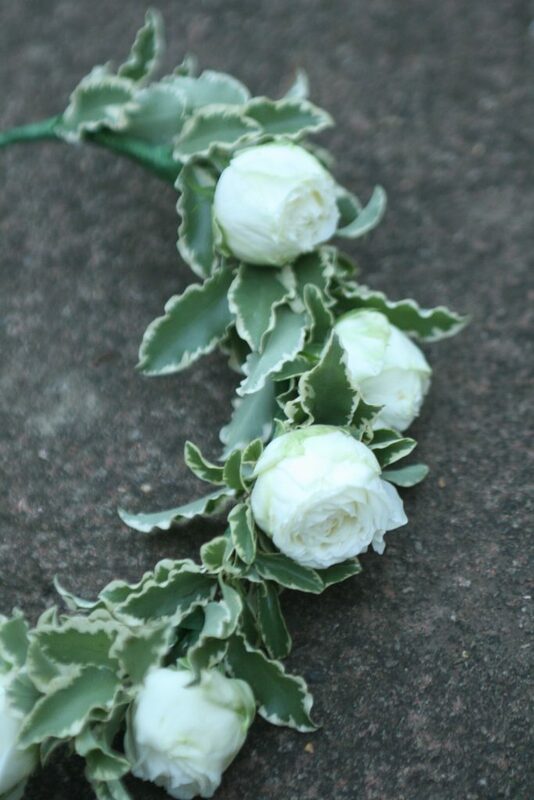 Kate’s hair flowers with pitto foliage and lovely white spray roses.